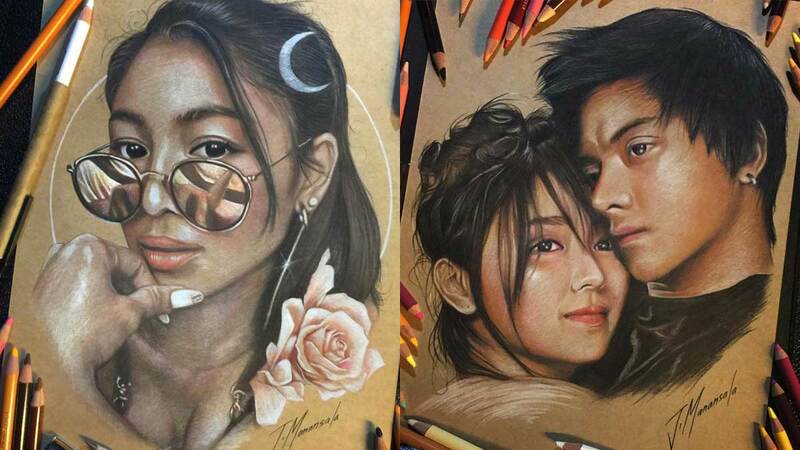 Not everyone gets noticed by Heart Evangelista on Instagram, but if you're as talented as sculptor and tattoo artist Jose Manansala, you might just make Heart's day! She noticed this gorgeous portrait Jose created (featuring her adorable aspin, Panda! ), and simply had to repost it on her Instagram. She wrote, "You guys constantly amaze me with your incredible artwork! This one's by @captainjoser, featuring my baby Panda. #AspinClub"
How did this all start, you ask? It all started when Jose watched Buy Bust, starring Anne Curtis! He was drawn to the badass character she played, and knew he had to illustrate her. "I made a portrait of her and posted it on Instagram. I never thought that she [would] recognize what I did. [To my surprise,] she commented [on the post] and reposted it," he told Cosmopolitan Philippines, and the rest is history! We look forward to more amazing art from you, Jose! *Answer has been edited for clarity.